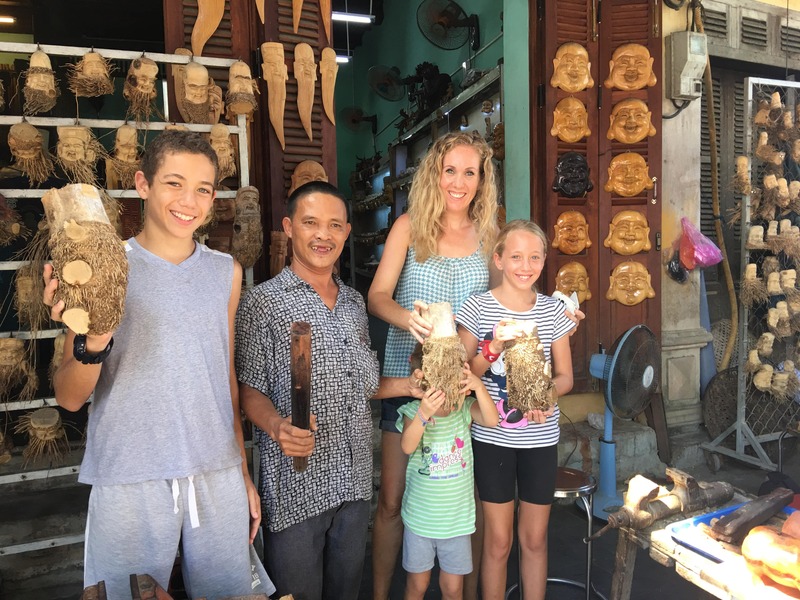 Do Huynh Phuong – the famous sculptor will be willing to assist you in create your lively souvenirs We prepare everything you need before you aririve, you find the bamboo already washed, dried, and ready for you work with. Start with a little practice to acquaint yourself with the feel of the bamboo and the chisels. Under the guidance of Huynh, we will complete an art work from its raw form to a bamboo-carved bust.You can let your instructor handle finer details like the figure’s eyes and the edges of its nose but if you’re feeling confident enough, feel free to go at it. Complete your creation with sandpapering to put the finishing touches on your own bamboo root-carved.